The warning lights on your dash tell a story about what’s going on inside of your vehicle. If one or more are turned on, it means that diagnostic services are required. At Glenn’s Auto Repair, our experienced mechanics are well versed in warning light meanings, and will act fast to rectify any issues that have arisen. The lights on your dashboard tell a story about the health of your vehicle. The same way that hospitals use machines with lights and sounds to report on the health of a patient. These lights are there to warn you that something isn’t quite right with your vehicle, and it’s important to have them checked as soon as they come on. Modern vehicles are designed with electronic systems which monitor the performance of your car. You can think about these internal systems like the virus software on your computer. The system picks up any problems and reports it to you to be fixed. Information is stored in these systems, letting it know when something goes wrong. The warning light comes on as a response to one or more vehicle components malfunctioning. This could be something as minor as forgetting your gas cap after a fill-up, to something as major as a brake system issues or engine failure. Each warning light reports a different issue, and each should be treated as seriously as the next. Even something small can turn into something big if it isn’t cared for right away. In some cases, the warning lights, themselves, could be broken, which results in no warning lights working ever, or all lights coming on and staying on. These are also serious problems, because they make it impossible for the warning light system to do its job and report malfunctions in your vehicle. If your warning lights are out, you should have them fixed as soon as possible to avoid a missed issue. To you, the warning lights might just seem like a jumble of symbols and lights, but to a trained mechanic, each symbol has a meaning. At Glenn’s Auto Repair, we work with the most modern tools and training to diagnose your vehicle promptly and efficiently. Using a scan, we are able to gather the information from your diagnostic system and determine what the exact problem is. The scan uses computer codes, sensor data, freeze frame data, and other internal information to explain the reasons for warning lights and how to fix them. Your mechanic will perform further testing on the engine, ignition system, fuel, emissions, and electrical components of your vehicle. Pinpoint testing with wiring diagrams and visual inspections are also completed. We do this to be sure that every avenue is explored and no lurking issues will come back to haunt you in the future. Depending on the reason for the warning light, your mechanic will work to remedy the issue by replacing parts, repairing damaged parts, rewiring portions of the vehicle, or performing software updates. The process is not usually a long one, due in part to the information stored by your warning light system. The cost of repairs will depend entirely on what needs to be fixed, how many extra parts are required, and the hours it takes to repair the damage. Fortunately, your mechanic can go over each aspect of the warning, what went wrong, and how to fix it, before diving in. 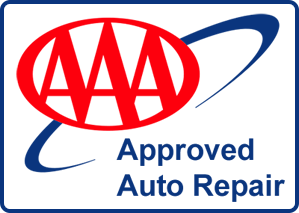 Once your vehicle is repaired, your mechanic will reboot the warning light system, and check for any new warnings that may appear before turning your vehicle back over to you. At Glenn’s Auto Repair, we are truly diligent in our search for warnings and damage before sending a vehicle back to a customer. It is incredibly important to report lit warning lights as soon as they occur because the damage which has caused the light to come on will only get worse over time. By avoiding the mechanic and driving your car with warning lights on, you could cause more irreparable damage, and make it more time consuming and costly to repair the vehicle. For more information on warning lights and diagnostic services contact us at Glenn’s Auto Repair. Serving the Federal Way, Washington area, we are always happy to meet new clients, or hear from returning ones. Call for a quote or to book your appointment today!